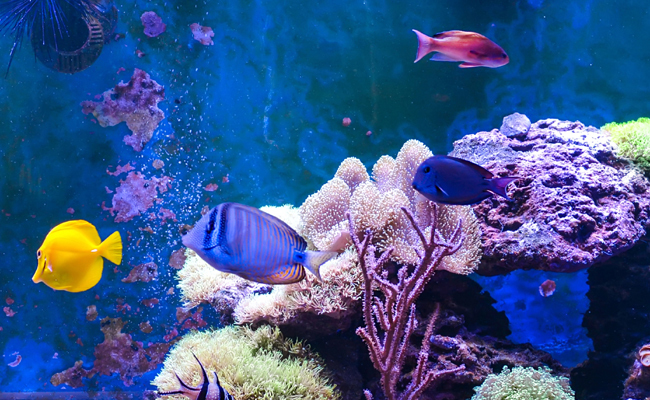 There are simple actions that environmentally-minded aquarium hobbyists can take to help stop the exploitation of marine life. The first, Umberger said, is to purchase only captive-bred fish for aquariums. She also recommends that those who are thinking about owning marine fish consider a virtual aquarium instead. It provides a low-cost and humane way to enjoy coral reefs. Royal Dottyback. This is a good novice fish with blue eyes and a body that’s one half purple/violet and the other half yellow. An aggressive defender of its territory, this fish requires suitable tank and plenty of hiding spaces. Allard’s Clownfish. These fish are suitable for intermediate hobbyists. The young have white tail saddles while adults have translucent to solid white tails that are sometimes lined in yellow. Their bodies have two white bars and range in color from deep yellow to dark brown. With proper care, these fish can live for 20 to 30 years. Cinnamon Clownfish. A good fish for novice aquariums. Young cinnamon clownfish have two to three white bars while the adults have one white bar or one pale blue. Their body colors range from deep orange to red and black. They can live for 20 to 30 years when cared for properly. 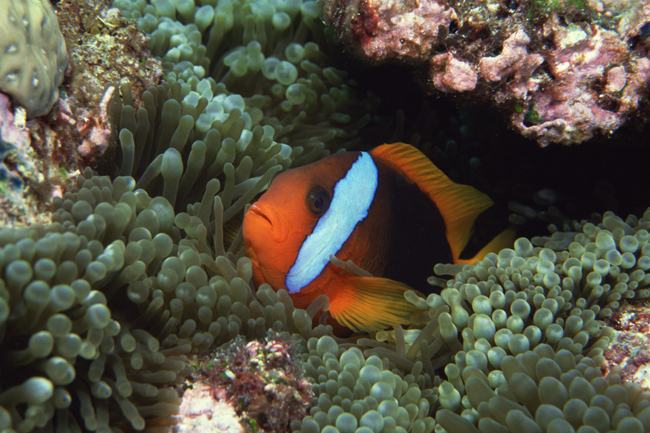 Spine-cheeked Anemone fish. This species is suitable for intermediate hobbyists. The young and male fish are bright orange or red darkening to maroon or mahogany red with age. All of the fish have three narrow white to gray/gold bars. Combtooth Blenny. A good novice fish, this species is mottled tan, white and dark brown with large eyes and fringe-like appendages on the nape of its neck. 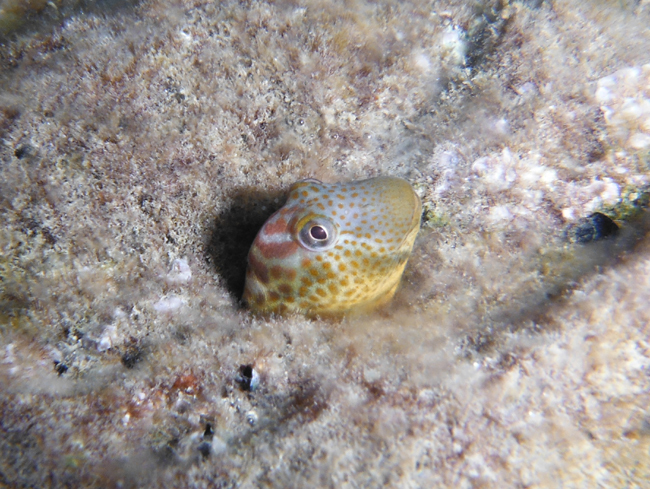 This fish is a bottom dweller who needs plenty of hiding spaces. 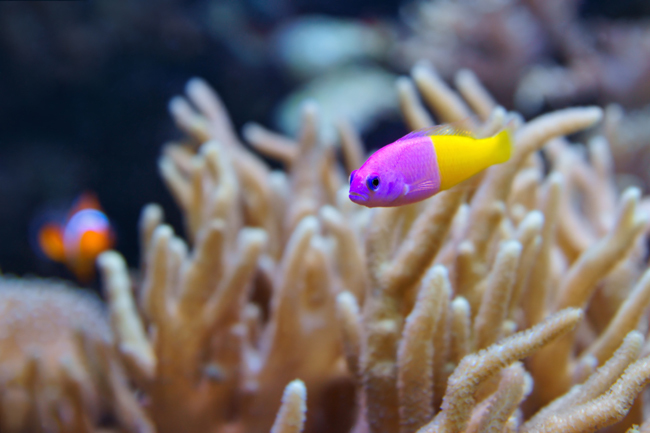 A complete list of good fish for saltwater aquariums can be found on Tank Watch, a free mobile app created by For the Fishes that helps saltwater fish hobbyists keep a 100 percent ocean-friendly aquarium. Find out thirty of the most threatened marine fish exploited in the wild to supply the personal aquarium hobby industry in the U.S.